While I expect Red Dead Redemption 2 to deliver a stunning open-world, I'm also hoping it brings back the series lovingly-crafted mini-games to the table. When I think back on Red Dead Redemption, there are plenty of scenes and images that immediately come to my mind that capture that game’s particular sense of grandeur. 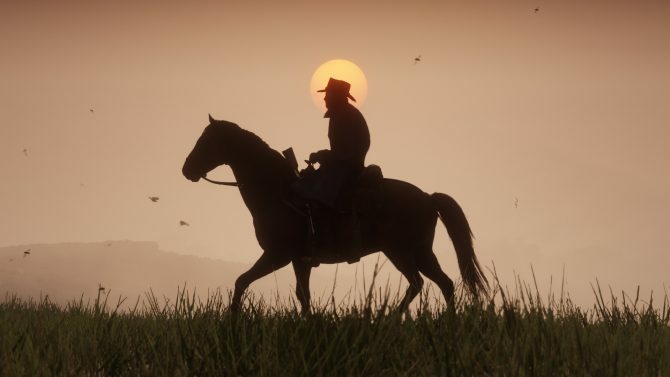 There are the obvious action-packed moments, like gunfights against outlaws, heists, and robberies, and the quieter moments that truly let the game’s Western setting shine: galloping out into the expanse of the West with the sun blazing in the distance always comes to mind for me when thinking back on Red Dead at its best. Red Dead Redemption excelled at bringing players into a vast, Western open-world; even eight years after its release, it’s still one of my favorite game worlds to this day. Yet, what I also adored about the game is the fact that it proved to be just as exceptional in offering players smaller details to enjoy as much the larger ones, and a big portion of that (to me) comes from its collection of Western minigames. There’s no denying that Red Dead Redemption 2 is without a doubt the game that I am most looking forward to this year (like many others). While I’ve been pondering its story and gazed at what we’ve seen from its breathtaking open-world, one of my secret wishes is that the game will nail the smaller details that I came to admire from Red Dead Redemption, and along with that I am hoping for the return of its signature Western minigames in the upcoming sequel. 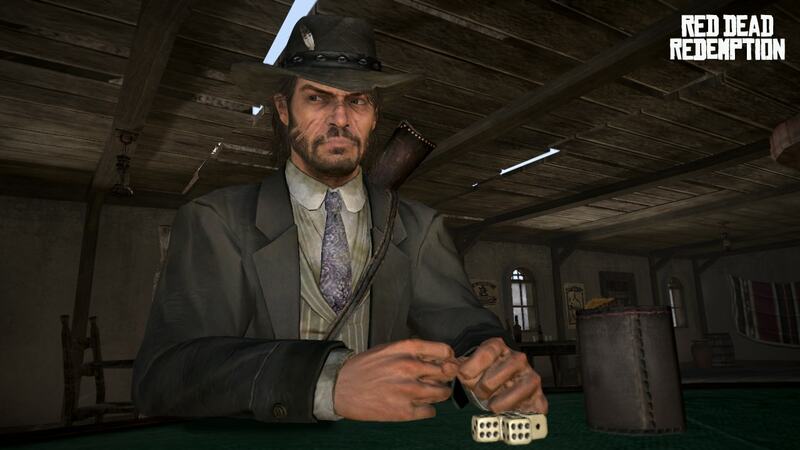 Alongside the numerous missions, side quests, and random encounters that players in Red Dead Redemption could find, the map was also littered with a handful of Western minigames that could be played at your pleasure: Blackjack, Poker, Horseshoes, Liar’s Dice, and Arm Wrestling. While there were specific goals tied to each of the games that would contribute to a 100% completion in the game, the minigames by themselves were largely optional and inconsequential, in the grand scheme of things. Of course, many of the minigames also carried with them some significant rewards in the form of cold hard cash; Liar’s Dice in particular was a game that could be pretty financially lucrative, if you knew how to play the table right. But more than that, the minigames in Red Dead Redemption felt deeper than just fun distractions from the main story of John Marston. Minigames in open-world titles, by most accounts, can serve as bite-sized bits of variety in-between missions or while traveling across the map; good for some mild distraction, but usually not much more. But in the rare occasions, minigames like these can add a surprising amount to the believability and depth of a world beyond just its map size and scale. Given that I put in as much time into The Witcher 3‘s Gwent as I did in most other games by themselves, there’s certainly something to be said that when done well, open world minigames can add so much more to a believable game world in their own right. And inside the game’s world drenched in the imagery and themes of the Wild West, Red Dead Redemption‘s minigames were definitely some of the best examples of that extra level of detail and immersion. 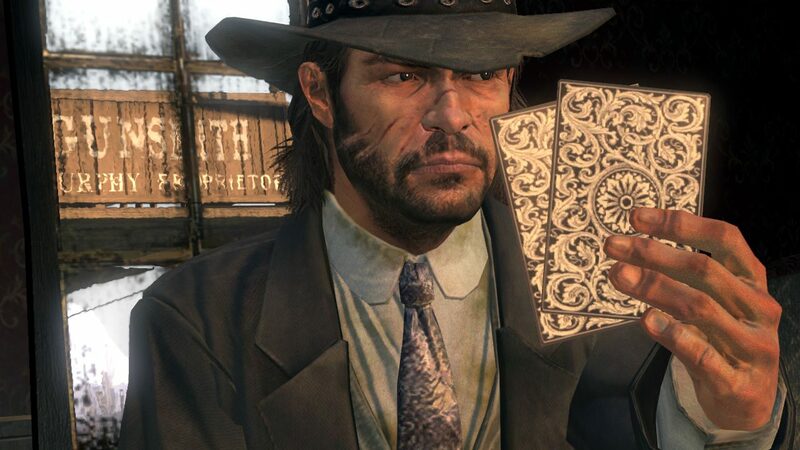 Card games like Poker and Blackjack have obviously been a staple many times over in past open world games–including Rockstar’s own Grand Theft Auto games– and yet Red Dead‘s approach not only felt most appropriate to its setting and Western theme, but it incorporated so many more wrinkles to the typical game of cards than we might expect. Aside from the standard rules of Poker of trying to come out with the best hand (and the highest pot) at the end of the game, players also could look for tells among the other opponents on the table and see if they could come out ahead and gain an advantage. Even better was the fact that if you or another player were caught cheating in a game, the result would end up in a bloody gunfight for playing dirty. I typically avoid most forms of card games in a lot of open world games, but the way that Red Dead integrated these classic card games felt tried and true to its Western atmosphere and added so much more to my enjoyment of the world that Rockstar built. Heck; Red Dead‘s Poker game more or less ended up teaching me the basics of the game in real life, at the time that I was playing it. 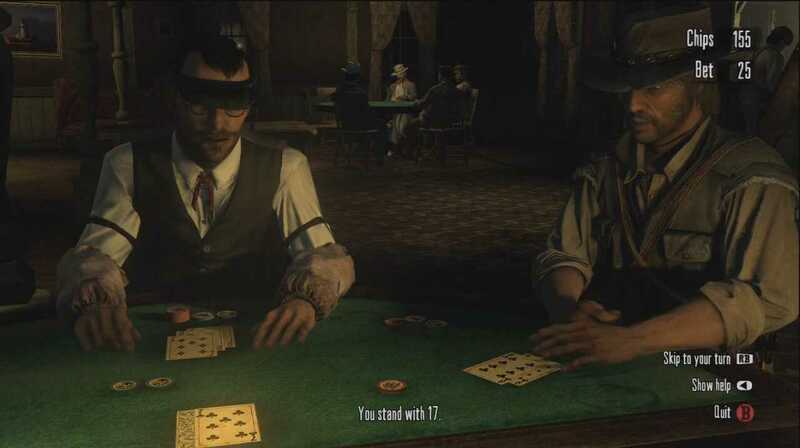 As much as I enjoyed Poker, the amusing wits of strength in Arm Wrestling, and the surprising layers of strategy in Liar’s Dice, no minigame in Red Dead Redemption brought out a sense of tension in me more than Five Finger Fillet, where players had to time their button presses to a series of rapid prompts by placing a knife between the spaces on their spread out fingers. 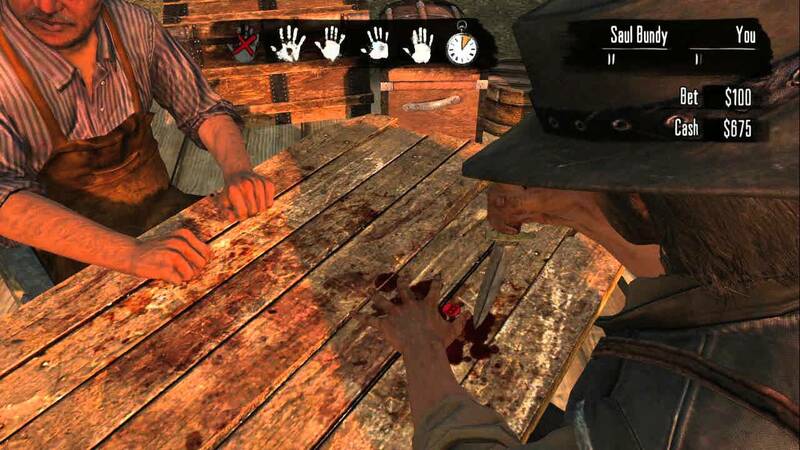 Between the grisly image of seeing John’s hand spread out on a table stained with the blood of past Finger Fillet losers and the fast-paced nature of its gameplay, Five Finger Fillet felt like the perfect mix of a minigame that truly embodied the gritty, Western world of Red Dead, while also bringing a unique bit of gameplay that had me terrified to look at a knife the same way again. 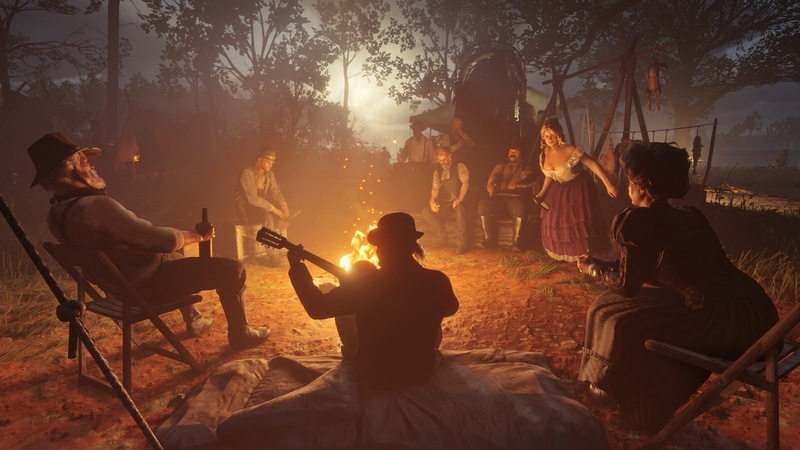 Thankfully, we’ve seen some hints that Red Dead Redemption 2 will almost certainly bring back some of these minigames, as a recent screenshot highlighted the game’s protagonist, Arthur Morgan, and the rest of the Van der Linde gang surrounding a poker table. 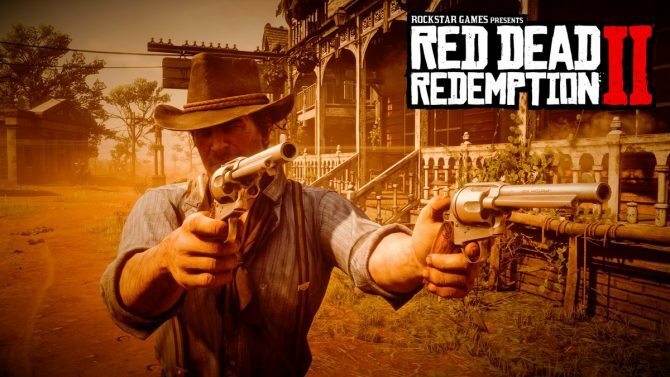 I had no doubts that we’ll see Poker and Blackjack return to a game like Red Dead Redemption 2, but what I’m equally hoping we see are even more eclectic minigames that truly exemplify the game’s Western setting, and that can add deeper dimensions to its world. Given that it’s been eight years since we last rode out West with the Red Dead series, I’m already enticed by what we’ve seen from Red Dead Redemption 2 and what its massive Western open world will have in store. 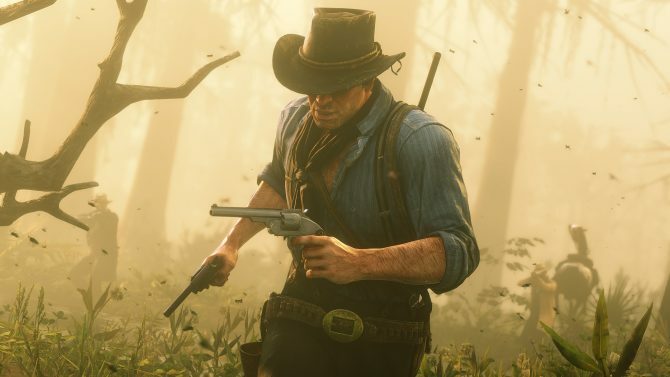 Though we’ve only had a few trailers over the past year or so, there’s already a tantalizing amount of variety that Rockstar has shown in its world that I can’t wait to see more of in the final game, such as hunting, herding, and hopefully much more beyond that. 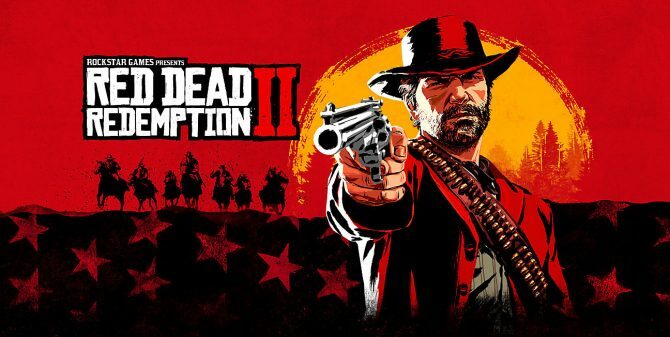 And yet for all that I can expect Red Dead Redemption 2 will deliver a massive open world full of beauty, action, and spectacle, I can’t help but hope that the minigames of Red Dead Redemption will not only make a return, but be expanded upon to really make its sequel’s world that much richer and more detailed. Come October, I know for a fact that Red Dead Redemption 2 will have me exploring the Great American West for dozens of hours on end. However, I’ll certainly make some time for a hand of cards or a game of Liar’s Dice when the opportunities present themselves. Red Dead Redemption 2 will release for PS4 and Xbox One on October 26th, 2018. If you have yet to pick up a copy of the game, there’s still time to pre-order the game on Amazon ahead of its release this fall. Red Dead Redemption 2 has a massive world for players to explore, and these are just a few helpful suggestions to help you see it all in greater detail.